There’s A New-Age Teeth Whitening Treatment You’ve Got To Try! Do us a quick favor – look in a mirror and smile big. Do you see any imperfections? Could your teeth be just a tad whiter? Look, we all have things about our smiles that we wish could be better. Maybe it’s an alignment issue or something else that involves some type of correction. We offer services for that, but if it’s just a whitening treatment that you need, we offer some of the best in the industry. We are the teeth whitening professionals you can count on to get you the results you deserve. Teeth whitening has gained massive popularity over the last few years and it seems like every patient everywhere in the country is going all in on getting a smile that can make the sun throw on a pair of sunglasses. At Cosmetic & Family Dentistry of Weatherford, our team can get you the smile you’ve always wanted with excellent teeth whitening treatment. When it comes to offering this treatment, Weatherford, TX residents know who to turn to: Dr. Romack and Dr. Mulkey. So, you’ve decided that whitening treatment is what you’d like to pursue, but you don’t know how to go about it. When you give our office a call, we’ll explain everything. It’s best to schedule a consultation first so we can go over each treatment in detail, therefore making your decision a lot easier. It’s important to know that tooth discoloration is a normal thing and there are many factors as to why they got that way in the first place. But, instead of worrying about it, our treatment can restore your teeth’s beauty. The form of treatment you decide to receive is completely up to you. If you like seeing fast results, Sinsational Smile may be what you’re looking for. If you’d rather take care of everything from the comfort of your own home, you can do that with our customized take-home trays. No matter which treatment you opt for, you can rest assured that your teeth will get whiter and brighter for a beautiful smile you can be proud of. 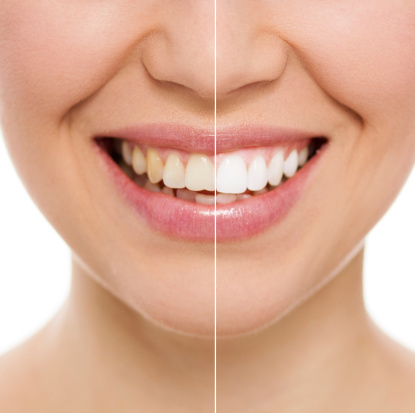 Before undergoing any type of whitening treatment, it’s best you speak with either Dr. Romack or Dr. Mulkey. Our Weatherford, TX office has the whitening treatment you need. We also serve the surrounding towns of Aledo, Brock, Millsap, Mineral Wells, Springtown and beyond. by: tntadmin at August 5, 2015 .